Hey RO# friends! It's been a while. We've been busy this summer, living some DJ Dreams. In May, we kicked things off for the season with Casey making his return to showbiz in our pal Micah's Springsteen tribute show at the Basement East. Casey was part of a star-studded lineup (including Charles Esten! Deacon, baby!) and crushed "Cover Me." We spent our summer Fridays behind the decks at Vinyl Tap bringing the bops for the fine beer-drinking folks in East Nashville. Many thanks to our friends at Vinyl Tap for an awesome standing gig! We've also taken over as Event Managers for WXNA! It's a blast to hang out with our fellow DJs and spin for you all around town. We were at Record Store Day, Pride, Porter Flea, and more. 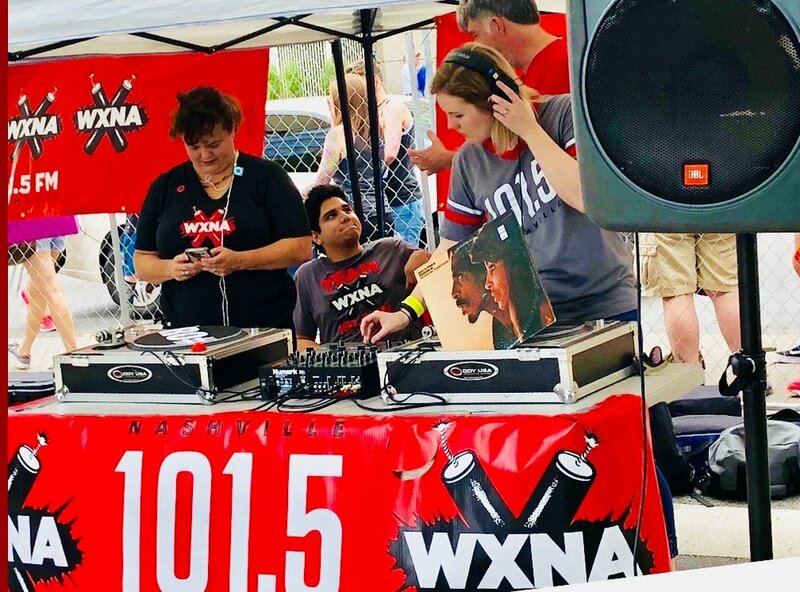 If you ever see the WXNA table out and about in Nashville (Tomato Fest, perhaps!) stop by and say hello. As always, we're on the airwaves every morning bringing you our best vinyl finds on Runout Numbers every Sunday at 9 AM Central. If you're not the Sunday morning type or missed a show, make sure to check out our Archive here. You can listen to past shows and check out playlists. In addition to our Sunday show, Laura's solo show Big Little Records is back! It's a fill-in show that pops up every now and then in slots that open in the WXNA schedule, and right now it is occupying Monday evenings at 4 PM Central. Check out the latest show here and stay tuned for more 45 RPM gems.